Nationwide and across the world, compassionate people care for cats. In fact, 1 in 4 Americans has fed an outdoor cat. These community cat caregivers are good Samaritans who devote their time, energy, and resources to care for outdoor cats by providing food, veterinary care, and love. 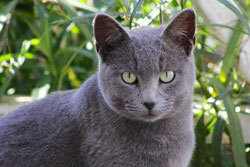 The efforts of community cat caregivers should be celebrated, but all too often they are punished. Although the tide is turning, too many communities still have archaic policies that are cruel to cats and penalize caregivers. Feeding bans, leash laws, and other punitive laws not only hurt cats and their caregivers, they don't address community needs. Trap-Neuter-Return is the humane and effective approach to community cats, and caregivers are an important part of the equation. Their compassion should not be criminalized. Sign the pledge to show your support for community cat caregivers. If you respond and have not already registered, you will receive periodic updates and communications from Alley Cat Allies.